Soprano, Anjulie Djearam is a British Columbia native who made her first debut at Carnegie hall at the young age of 11. Anjulie has been a representative for Provincial Performing Arts BC, twice. 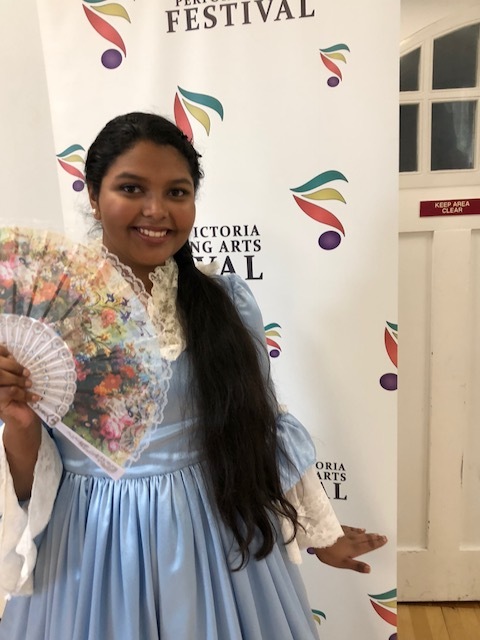 In 2018 she won Junior Classical and Vocal Variety in 2018 , Won 1st place in many Regional, Provincial festivals and International Competitions in US and Canada. She is invited to perform Sammamish Symphony Orchestra and Cowichan Concerto Orchestra in 2019, She attended Summer Vocal Workshops in UBC and University of Lethbridge 2018. Anjulie is always learning , love and share her music. Some of her Performance credits are mentioned in the credit section down below.